Outsource2india successfully transcribed 4 hours of audio on lean management for high profile client in just 48 hours with 98% accuracy! An independent client approached Outsource2india (O2I) to produce audio transcriptions on complex, industrial topics. 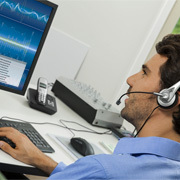 In need of a partner who could meet accuracy and time requirements, they turned to O2I for their transcription needs. If you are preparing to contact an outside firm to handle your audio transcriptions, Outsource2india can help. Our team of highly experienced professionals has many years of experience and can produce accurate transcriptions in a short time to meet your needs. Go through some of our transcription samples. Contact us today to learn more about our transcription capabilities.